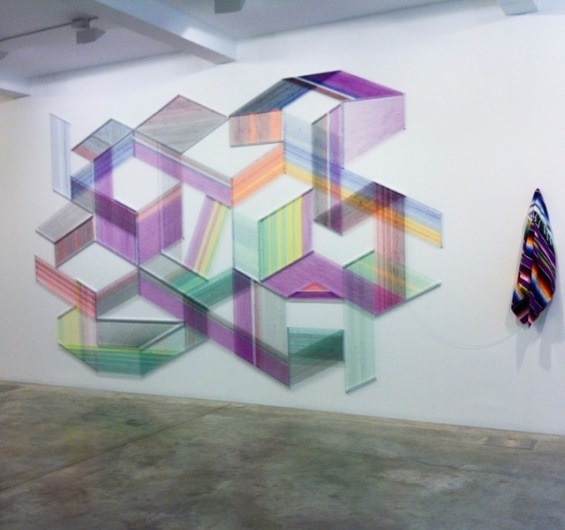 Texas-based artist Adrian Esparza unravels Mexican serape blankets and uses the threads to weave them back into multi-dimensional, geometric installations. As well as the deconstruction and transformation of this cultural symbol, Esparza is interested in reinventing the ordinary and encourages the viewer to do the same, looking for the creative potential which can be found in the familiar and the mundane. ‘Wake and Wonder’ will be on vshow at Pérez Art Museum Miami until May 2015.